Locality: United States, Colorado, Jackson, Cowdrey. North Park. 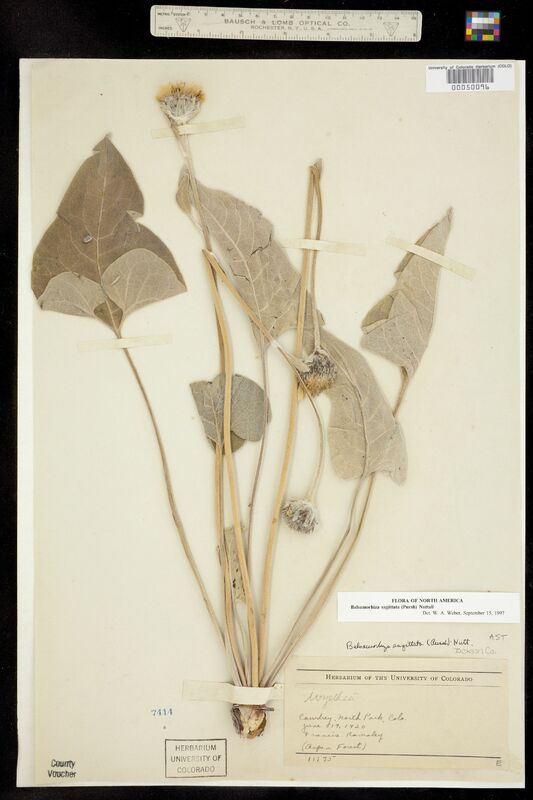 Notes: Balsamorhiza sagittata (Pursh) Nuttall det. W. A. Weber, September 15, 1997. Originally id as Wyethia.